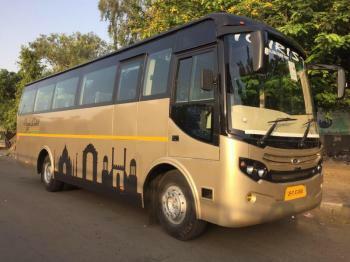 Punja Sahib is based in New Delhi (India) and provides buses on a rental basis. We own a vast fleet of buses that comprise the luxury bus, ac bus, minibus, tempo traveler, Volvo Bus, and SUV-MUV. Not only this, we provide this inexpensive and reliable service for the schools and educational institutions as well. To avail our bus rental services, contact us and speak out your needs with our agents. Theyâ��ll surely entertain all queries, so, do not forget the name of Punja Sahib.